Really, really weird not doing any Revs pumpkins this year, but, well, that’s not exactly my fault. 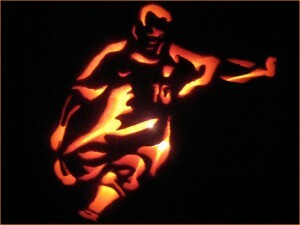 Didn’t stop me from doing two USA pumpkins, both based on source photos from the US-Algeria game. Click both for bigger. Landon Donovan, in action vs Algeria. Not the moment he scored THE goal, but a cool action shot. Stuart Holden, yelling at everyone after the game. 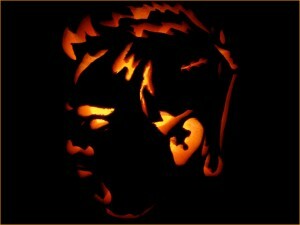 This entry was posted in finished projects, nats, pumpkins. Bookmark the permalink.